There's 39 days until Christmas! The Mommy Island and Kids Did It wanted put together a Super Stocking Stuffer giveaway blog help in order to help our readers purchase stocking stuffers for their family and friends. Wife, Mummy, Nurse will be giving away Joy: An Irish Christmas Live (check out my review)! 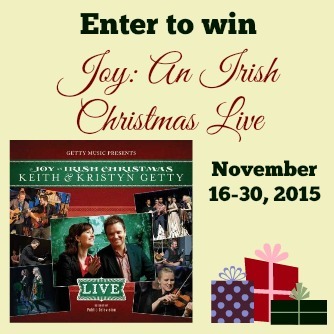 You can enter to win your own Joy: An Irish Christmas CD. Open to residents of US 18 or older. One entry per household. Entries will be verified. Winner will be notified via e-mail and will have 48 hours to reply or a new winner will be chosen. My favorite Christmas song is THE Christmas Song, by Mel Torme! I really like "What Child is This?". My favorite Christmas song is Oh, Come Oh Come Emmanuel!! My favorite Christmas song is the little drummer boy! Silent Nignt is my favorite Christmas song.